Dr. Filomena Crafa is the president of the "Committee for the Specificity of Civil Defense Personnel", a group that carries widespread interests and promotes a voluntary request for a change from the private regime of the National Collective Labor Contract. Central Functions Section , under the public law regime, thus transiting the so-called "specific" category of personnel. By "Specificity", as foreseen by art. 3 of the Legislative Decree 165 / 2001, means personnel with public law contract operating in particular sectors of the State and therefore not only military personnel but also other particular categories not caged in collective agreements that are of a privatistic nature. Dr. Crafa, we have already published a letter from him on 28 September 2018 (v.link) on the subject, have there been any developments? First of all we thank you for the space dedicated to us, at present there are no positive developments. To date, the Committee has already sent about 3.800 accessions of spontaneous requests to the Minister of Defense by the employees, making known the Trade Unions representing the Defense. More new accessions that we will send shortly continue to come. As you can imagine, for every "logos" membership of employees who ask directly to their minister (as early as March 2017 with Pinotti), there are at least 5 colleagues who would like to do it but are inhibited because it also takes "courage" to write directly to the Minister. When 3.800 people on about 26.000 find this courage spontaneously, it means that there is a real uneasiness about the critical issues present in the work context. Unfortunately we feel "plastered, submissive and guests". Can you explain to readers what critical issues it refers to? The critical issues present are both economic and legal. The civil staff of the Defense Ministry in 2016 has been certified, by a special working group established by Minister Pinotti, as the poorest of the Sub-Fund, with an economic gap that is around 30% less than other public employees and non-operational soldiers, while carrying out the same work; the solution agreed between the then Minister Pinotti and the majority defense trade unions was not only decisive, but instead caused this economic gap, instead of shrinking, to increase compared to the employees of the new Central Functions Sub-Fund. In addition we have striking cases of graduate / specialized officials in charge of organizational elements with former civilian personnel as well as military personnel who receive a much higher economic treatment and, in the specific case of the latter, also with different protections (days of holidays and other). Can not solve the economic problems with the current national bargaining? With regard to national bargaining, the merging of several subjects, subdivided into Sub-Funds (for the 2016-2018 years has moved from the Ministries to the Central Functions Section), does not positively hope for a homogenization of the economic treatments, as shown by the 5 April 2017 agreement. In fact already in the CCNL - 2002 / 2005 Ministries Department, the art. 22 envisaged the start of a process of equalization of the administration allowance to that envisaged for the other Dicasteries, but this rule was completely disregarded. Given this, the only possibility of having full recognition of the "professional specificity" of the civilian staff of the AD is precisely the transition to the "public regime". We are now deprived of prestige and professional dignity and I refer primarily to the approximately 1.800 employees of the First Functional Area; at the transit of personnel unfit for military service, who from the rank of first sergeant passes to civilian roles with a professional profile as an officer even with the sole title of study of a lower middle license, in full contrast with the provisions established by the regulations establishing access from outside with the possession of the degree; indeed, it has already happened to find them in charge of elements of organization with officials graduated from their direct dependencies. 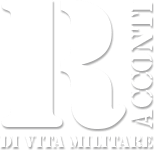 This is due to the reorganization of the careers of military personnel strongly desired by the previous governments that led, among other things, from January 2018, to the appointment of more than 10.000 exclusively military leaders starting from the rank of major, with considerable imbalance of skills, if we consider that the maximum limit imposed by the CCNL for the Defense is about 108 civil executives and that the civil staff is in the same Organic Tables with the military personnel. A slow and gradual siege? A slow siege that, if we do not intervene in time, will determine the disappearance of the management and of the proper civil frameworks and of the administrative skills necessary to perform functions that would instead be carried out by personnel with operational technical training for military status. More than inequality of treatment I would speak of inattention and undervaluation of the considerable contribution that civilian staff gives daily for the realization of the objectives of the Defense. We won battles but we lost all the wars. Who represented us so far perhaps could do more and flatten less and above all do not make us feel guests at home. Such as? Expanding the range of requests and qualifying them in quantity and quality in the interest of the administration in the first place, of all employees and all profiles beyond the interests of part and / or corporation. The officials, for example, but like the staff of 1 Area, have never been properly and often ignored and today it happens that, with the reorganization, they are the first to suffer the effects of the errors committed by the majority representatives and the 'Administration, precisely due to inattention and underestimation; they did not share the objective of ensuring that civilian personnel and military personnel were a single entity, each with its own peculiarities and diversity but with the same treatment beyond the different contractual regimes that instead accentuated the disparities. When it speaks of "flattening" what it refers to? A policy of flattening has been made for civilian personnel with the continuous "rainy season" which more than once has mortified and mortified the professionalism to the detriment of the much waved meritocracy and in favor of the "everything to all", which consensus so much power of attorney . Do we want to talk about how civilian staff progress in their careers? Keeping in mind that this possibility is in fact denied to the staff of 1 ^ Area, the agreements lead to evaluation criteria certainly not meritocratic. For example, training, the workhorse of dignity and of the enhancement of public work as a qualification and updating of professional skills, is not the object of the evaluation criteria defined as useful for career progressions and refers to highly specialized courses (ISSMI, SNA courses) , etc ...) that have no return on investment, given that the staff has no chance of career and is used without any valuation unlike what happens for military personnel. The attendance of these courses involves sacrifice for the personnel forced to travel because they are almost always organized out of the office and considerable financial burdens to be paid by the Administration. In the end, this investment appears bankrupt because it is not a useful qualification either for career development or for the work performed if one is under-employed and above all when the interlocutor, superordinate and / or manager, does not have the same training. However, damage if training does not follow the appropriate and natural consequences. It is, moreover, at least singular that the carrying out of tasks as seniority is not subject to assessment. The transit to the public regime thinks that it can be decisive of the problems and could not mean instead the militarization of Civil Defense Personnel? We believe so! The job classification in the CCNL Central Functions Department is not correct because the employees in question, unlike the colleagues of the other ministries, are subject to many of the regulations and restrictions of the reserved environments and directly or indirectly contribute to the Defense National, Peace and International Security, representing, today more than ever, an important portion of the staff of the Armed Forces, without which the complete and multiform fulfillment of the institutional mission of said Dicastery (administrative and technical practices, negotiation, support and supervision / conduct of kinetic and non-kinetic activities, etc. ), would perhaps not be so profitably achievable. I stop not to bore readers .... As far as the possibility of militarization is concerned, we exclude it absolutely. Currently, the ordering of labor employed by public administrations (including civilian personnel of the Ministry of Defense) is governed by Legislative Decree 165 / 2001. By way of derogation from the aforementioned legislative decree, a series of public employees characterized by a particular legal status having a reflection on the same Constitutional Charter (eg armed forces and police forces, magistrates, lawyers of the , prefects, diplomats, firefighters and university professors, but also employees of the Bank of Italy, Consob, the Antitrust Authority and other independent administrative authorities, managers of the Department of Penitentiary Administration, etc.). As can be seen from the list of personnel already in the public sector, it is not only a question of military personnel but also of civilian personnel from other administrations. Consequently, in the case of transition to the same regime of civil defense personnel, it is at least inappropriate to use the term "militarization". With the transit in public regime what would change in terms of employment and mobility? The principle according to which the employee is employed according to the tasks of the profile / qualification, is not affected. The problem could be represented by the mobility of office, but after all the current legislation, provides for the transfer for service needs at the premises of the same administration or, if not possible, the relocation to other administrations, in both cases under of the same Region. The discipline of other sectors in "public regime" provides, however, that the needs are motivated, taking into account also the conditions of the family and any need for study of the employee himself or his children. The legislation currently in force (Legislative Decree 165 / 2001) already provides for the reduction of union consultation in staff re-employment processes. Furthermore, it is also already foreseen the availability in case of non-useful placement of the personnel to be re-employed, until the subsequent termination of the employment relationship (see articles 33 and 34 of Legislative Decree 165 / 2001). On the economic treatment and trade union relations? Transitioning into "public regime" the salary increases would be established by law and could be provided for those salary automatisms abolished by Legislative Decree 29 / 1992 (so-called privatization), but still in place for some categories of public employment. The union rights and prerogatives would not be affected, as the application of the 300 / 1970 (Workers' Statute) can not be excluded. This legislative text, for example, is explicitly referred to in art. 137 of the Legislative Decree 217 / 2005 (order of the Fire Brigade personnel). Are there any complaints against military personnel? Absolutely not. There are grievances against those who do not face the problem or who does not consider that a serious examination of the problem is indispensable by facing it and seeking possible solutions so that we can speak of "Defense Personnel" as an integrated force formed by the military and civilians who contribute to the mission and common vision in respect of its peculiarities, roles, skills, equal opportunities and rights gained, avoiding, as is happening since January 2018, a "functional crushing" of the civil component. It would also serve a fair integration with the military personnel who transit in civil roles that is labeled as "transited"; this situation must be resolved because, at present, it creates only useless stressful climates in work environments that wear and tear relationships. As far as we are concerned, civil personnel ("pure" and transited) should be considered without differences, because we are all part of the "Family of Defense" and not "guests" of military personnel. Before saying goodbye, I would like to ask you why in your answer to the first question did you use the word "plastered"? Inert because they are unable to make our voice heard. About 26.000 civilian employees of the Defense, only 1 / 3 of the staff is registered with trade unions that take part in the comparison tables as the law provides. In light of the numbers they would represent a minority. The announcements of the representatives of CGIL, CISL, UIL, UNSA and FLP, provided to the staff during the last meeting with Minister Trenta last January 15, did not mention, among the topics being discussed, that on "specificity". "Specificity" that instead appears in the Confintesa and USB press releases. This circumstance was made known by the minister himself during his last visit to the Augusta authorities, in response to a specific question from a colleague. The minister has clearly said that he is willing to work on the topic and that at the 15 meeting he asked the unions present to look for a shared position on the term "Specificity". Employees are still not adequately informed by the union representatives and the news is thanks to the social media, as was the case in Augusta. We would have continued to think, wrongly, that the minister did not have this problematic problem on the agenda. At this point and under these conditions direct streaming of these meetings between the minister and the trade unions would be useful for transparency and the right to indirect participation. Would someone perhaps want to give the word "Specificity" a different meaning from the transit under "public law"? We would like an answer to this question especially from those who, in those representations, enjoy this regime but hinder its realization for others. In such a critical situation for the staff in service, the assumptions can not be considered as a priority and pretend that 26.000 people do not exist, certainly the assumptions are necessary but only after having put the current situation in order, with the resolution of the critical issues we have been talking about. The staff that has joined and who is adhering to the initiative of the Committee asks only respect for their professionalism as Defense professionals, because it would be time to say enough to the agreements to sell off, it calls for an "Epochthonous Event" resolving the present problems accumulated over the years. We hope hopefully that Minister Trenta will listen to the direct requests of the staff and want to meet the Committee for the Specificity of Civil Defense Personnel, becoming the promoter of a real change, whose path, so far has been made swampy by those who hinder this passage .